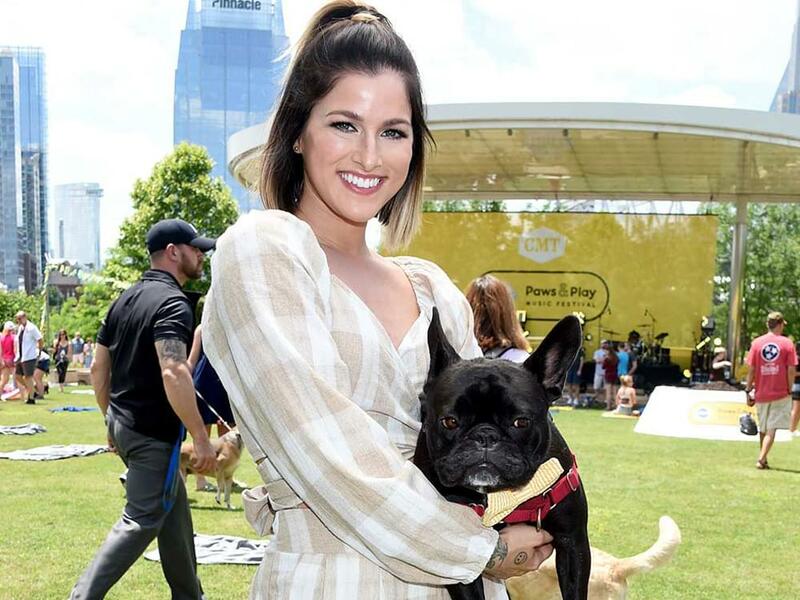 Cassadee Pope—and her dog Cuppy—helped kick off the unofficial start to CMA Fest week at Nashville’s Cumberland Park on June 3 as she headlined the inaugural Paws & Play Music Festival. CMT and Pedigree teamed up for the event that helped celebrate the role that dogs play in making lives better. Dogs—and their humans—participated in a number of four-legged friendly activities, including doggie yoga, canine massage and pooch portraits. Food trucks and beer vendors were also onsite as Cassadee entertained patrons from the stage. The event was hosted in association with adoption partner Nashville Humane Association, which featured dogs for adoption. Take a look at our photo gallery, courtesy of Tammie Arroyo, AFF-USA.com.